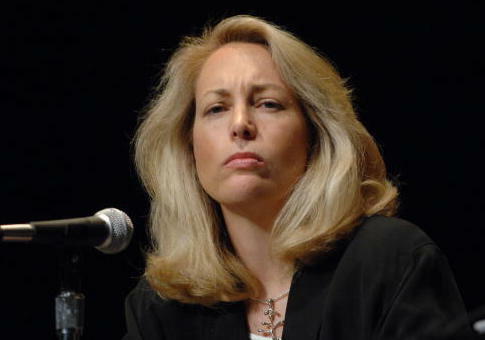 Former CIA operative Valerie Plame Wilson has resigned as a board member for the nonprofit Ploughshares Fund after she shared an anti-Semitic article on Twitter. Ploughshares Fund is pro-Iran Deal, and supports initiatives it deems work to prevent the spread and use of nuclear, biological and chemical weapons and other weapons of war. Plame Wilson came under fire after she tweeted out an article from a fringe site, Unz Review. The article, entitled "America’s Jews Are Driving America’s Wars," claimed Jews should be banned from diplomatic posts in the Middle East and should be forced to identify themselves as Jews when advocating for Israel. At first, Plame Wilson responded to the uproar by defending the article. "Read the entire article and try, just for a moment, to put aside your biases and think clearly," she tweeted. But under pressure, she deleted the previous tweets and apologized, claiming she had only "skimmed" the article. On Sunday, Plame Wilson went even further and announced her resignation from Ploughshares. … I made a grave mistake and am deeply sorry for perpetuating any conversation that gives credence to anti-Semitism. … to avoid detracting from their mission, I have resigned. Ploughshares Fund was a key player in selling President Barack Obama's Iran Deal to the public. Obama's Deputy National Security Advisor Ben Rhodes cited "outside groups like Ploughshares" as integral in creating a pro-Iran deal "echo chamber" in the media. This entry was posted in Politics and tagged Anti-Semitism, Iran Nuclear Deal, Ploughshares Fund, Valerie Plame. Bookmark the permalink.